Barnes Foundation on the Philadelphia Parkway | Geno’s Steaks | Philadelphia, Pa.
Are you the type of person that looks for a story behind every object? If so, the Barnes Foundation might be for you. The museum started with a man named Dr. Albert C. Barnes whose teachings were incorporated into the Foundation. While the original location was in Merion, Pennsylvania, it moved to the Benjamin Franklin Parkway in Philadelphia in 2012. Today, the Barnes Foundation is a great Philadelphia tourism spot and is home to some of the world’s most famous impressionist, post-impressionist and modern European art. Who are some of the artists featured? Visitors will view works of well-known names like Paul Cézanne, Henri Matisse, Pablo Picasso and Vincent Van Gogh. Some paintings include “Le Bonheur de Vivre” by Matisse and “The Card Players” by Cézanne. Until October 2, 2017, Barnes is featuring a Philadelphia-centric exhibition. Mohamed Bourouissa: Urban Riders is a collection of photographs, drawings, costumes and more inspired by Bourouissa’s collaboration of North Philadelphia horsemen. The exhibit is a great way to appreciate art while getting involved in some Philadelphia tourism. 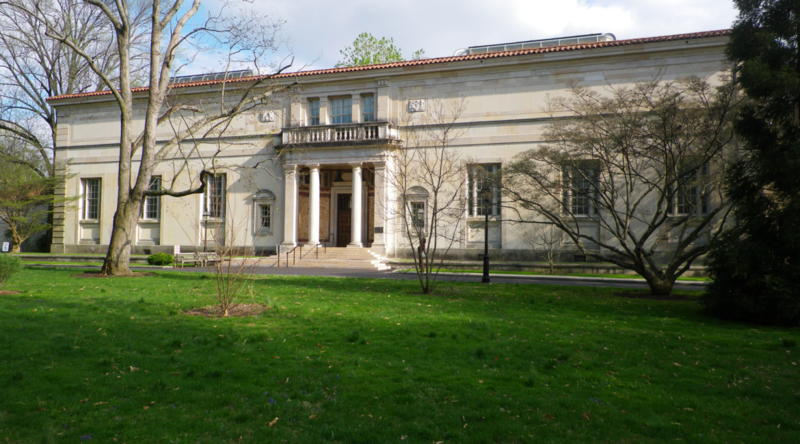 What are the hours at Barnes Foundation? The Barnes Foundation, located on the Philadelphia Parkway, is open Wednesday through Monday from 10 a.m. to 5 p.m. and is closed on Thursdays. Admission is $25 for adults, $12 for seniors, and $10 for children ages 6 to 18. Admission is free for children 5 and under and for students during the week. The featured exhibitions at the Barnes Foundation change a few times a year. Upcoming exhibitions include Kiefer Rodin starting November 17, 2017 to March 12, 2018 and Renoir: Father and Son/Painting and Cinema, from May 5 to September 3, 2018. Later in 2018, Barnes Foundation will host Berthe Morisot: Woman Impressionist on October 20, 2018 to January 14, 2019. Check out other great spots in Philly while you’re exploring, like the Oval Pop-up Park, which is also on the Philadelphia Parkway. If you are looking for something fun to do in Philadelphia in September, join the Barnes Foundation for First Friday for a free jazz performance by The Jōst Project. Whether you’re touring Philadelphia or are a long-time resident, be sure to stop by Geno’s to say hello and grab an authentic Philly cheesesteak. Then, head across the street to our new shop, Geno’s Gear. We can’t wait to see you! Geno’s Steaks Celebrates 100 Years at the Parkway 100!